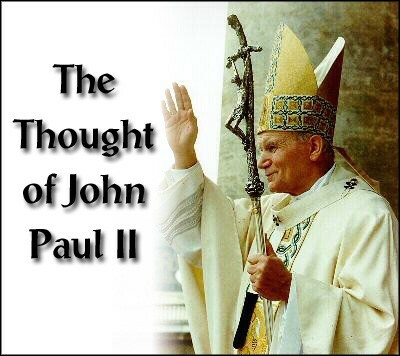 The thoughts of John Paul II throughout his papacy. Free for students and religious. Century: A Comprehensive Global History (2000, Crossroad). Dr. Royal holds a B.A. and M.A. from Brown University and a Ph.D. in Comparative Literature from the Catholic University of America. He has taught at Brown University, Rhode Island College, and The Catholic University of America. He received fellowships to study in Italy from the Renaissance Society of American (1977) and as a Fulbright scholar (1978). 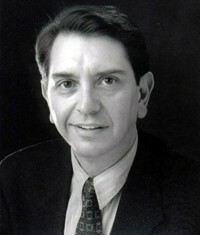 From 1980 to 1982, he served as editor-in-chief of Prospect magazine in Princeton, New Jersey. Among the other books he has published are: Jacques Maritain and the Jews (University of Notre Dame Press), Building a Free Society (with George Weigel), Crisis and Opportunity: U.S. Policy in Central America and the Caribbean (with Mark Falcoff), and, with Virgil Nemoianu, The Hospitable Canon and Play, Literature, Religion: Essays in Cultural Intertextuality. He is a regular columnist for Crisis magazine and his articles have appeared in numerous scholarly journals and other publications, including First Things, Communio, the Wilson Quarterly, the Catholic Historical Review, the Washington Post, the Washington Times, National Review, The Wall Street Journal, and The American Spectator. He writes and lectures frequently on questions of ethics, culture, religion, and politics, and has appeared on various television and radio stations around the United States. Dr. Royal has also translated books and articles from French, Spanish, and Italian; most recently J.-P. Torrell's Initiation B saint Thomas d'Aquin (Catholic University of America Press, 1996) and Roberto Papini’s The Christian Democrat International (Rowman & Littlefield, 1997). Faith and reason are two ways of knowing that have played a central role in the development of civilization. They work best when they mutually challenge one another to look farther, to probe more deeply, in quest of truth. In his encyclical on Faith and Reason, Pope John Paul II praised the authentic achievements of modern thought, but pointed to a difficult contemporary problem: “reason, rather than voicing the human orientation towards truth, has wilted under the weight of so much knowledge and little by little has lost its capacity to lift its gaze to the heights…. has preferred to accentuate the ways in which this capacity is limited and conditioned.” His lament reflects the condition of all advanced societies: an abundance of wealth and practical means coexists with an extreme poverty of purpose and vision. In his Farewell Address, George Washington made a similar observation: “Whatever may be conceded to the influence of refined education on minds of peculiar structure, reason and experience both forbid us to expect that national morality can prevail in exclusion of religious principle.” For Washington, national morality was also the “spring of popular government.” American liberty was thus closely allied with faith. Reason and experience affirmed that truth. The Institute aims at bringing both Faith and Reason to bear on all the issues that confront us. In recent years, religion has usually been neglected in public discourse. Though voices have lately protested this neglect, we still need vigorous action at all levels and in every sphere to recover the truth that faith lies at the heart of most people’s aspirations and deserves recognition of its crucial role even in a pluralistic nation like America. Reason has received greater respect, but it is not clear that in the absence of the challenges and questions religion puts to reason that the healthy power of reason will fully emerge. For many people, reason today means science or practical decisions. But we need a renewed reason that will continue along the fruitful paths of science, technology, and economic development, as well as encourage us to examine the heights and depths of human life. The Faith & Reason Institute is the first Washington think-tank devoted to encouraging both of these essential dimensions of our existence. We seek to recover the ancient Western understanding of human knowledge and divine revelation as co-ordinate calls upon the human spirit that need to be translated into everyday practice. Unlike other institutions interested in religion, we address questions of economics, politics, public policy, science, technology, the environment, and public culture, from perspective of both faith and reason. The Institute conducts a program of research, conferences, seminars, and publishing aimed at introducing better ideas of faith and reason to the culture as a whole. It also engages various national and international institutions—schools, the press, public policy makers, Congress, the legal community, and others—in order to generate fresh thought and action by bringing together religious and secular experts often isolated from one another. Speaker: Dr. John Haas, President of the N.C.B.C. and the I.I.C. S.T.L. in Moral Theology from the University of Fribourg, Switzerland. 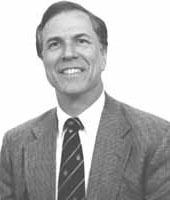 Before assuming the Presidency of The National Catholic Bioethics Center, Dr. Haas was the John Cardinal Krol Professor of Moral Theology at St. Charles Borromeo Seminary, Philadelphia and Adjunct Professor at the Pontifical John Paul II Institute for Studies in Marriage and the Family, Washington, D.C. For a number of years he produced and hosted an national television program known as The St. Charles Forum which was carried on the Catholic network EWTN. He has also served as a member of the Medical Moral Commission of the Archdiocese of Philadelphia and has been a faculty member of the Commission for Inter-professional Education and Practice at Ohio State University. Dr. Haas has testified before the Joint Judiciary Committees of the Massachusetts Legislature on physician-assisted suicide and before the US Senate Committee on Health and Public Safety on the subject of cloning humans. He has also provided testimony to the President’s National Bioethics Advisory Commission. He has written many articles on topics ranging from the role of the laity in the Church, to sexual morality, social justice issues and bio-ethics. He is the editor of and a contributor to Crisis of Conscience published by Herder/Crossroads and is a contributing editor to Crisis and Touchstone magazines. His Opinion Pieces have appeared in the New York Times, the Boston Globe and the Philadelphia Inquirer. He has lectured extensively in this country and abroad, including Peru, Mexico, Germany, Switzerland, Italy, Canada, and at the Vatican. He is a consultant to the Committee for Pro-Life Activities of the National Conference of Catholic Bishops. He is a former board member of the Fellowship of Catholic Scholars and is a board member and faculty member of the International Catholic University and President of the International Institute for Culture based in Philadelphia, Pennsylvania. Dr. Haas and his wife Martha are the parents of nine children and reside in Philadelphia.